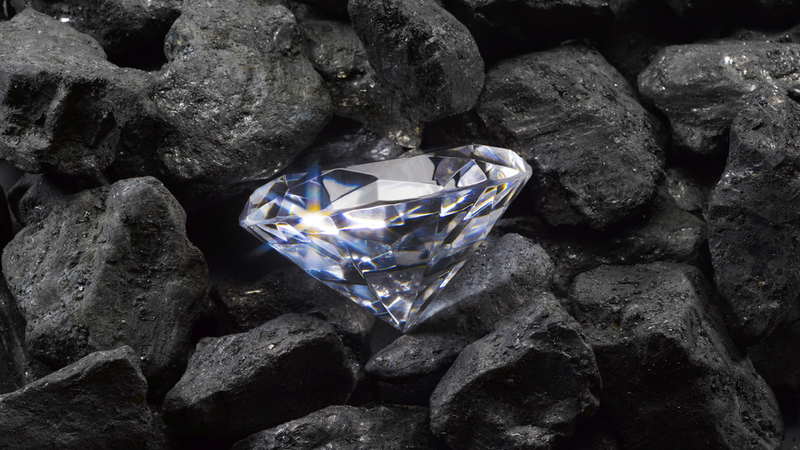 Formed deep within the Earth's mantle, diamonds are difficult to find. But it's not just their rarity that makes them so valuable - diamonds have some surprising industrial applications too. Formed deep within the Earth's mantle, diamonds are difficult to find. The quality of diamond is measured by the four Cs: carat, cut, color and clarity. Diamond is the hardest compound known to man. 80% of mined diamonds are used in industry. Diamonds are not simply beautiful... this precious stone is the hardest compound known to man. Its name is derived from the Greek 'adamas' – meaning unbreakable. Natural diamonds are formed from carbon atoms, in conditions of very high temperature and pressure, deep within the Earth's mantle.